Available for everyone. Join us or upgrade. With iPhone you can sync and share your pictures, music, apps and more across all your Apple devices. They’re all designed to work seamlessly together, to make your life as easy as possible. Listen to your favourite tracks, check out your photos and open your apps wherever you are - with iCloud, whatever you need is at your fingertips. Send and receive payments via Apple Pay. Power up your phone with wireless charging. Unlock the latest iPhone models just by looking at them. And of course, with super-speedy iOS 12, you’ll be able to get more out of your day. Worried about spending too much time on your phone? Don’t be. With the new Screen Time feature, you can see how much time you’re spending in each app, and set limits if you want to. Watch videos on the web. Track your fitness goals. Chat to your friends. With over 2 million apps to download in the App Store, whatever you do for fun there’s bound to be an app to help you. And if you need to add a social event to your calendar when you’re on the move, just ask Siri. The new iPhone models are all powered by the A12 Bionic chip – the smartest, most powerful chip ever in a smartphone – and the Xs and Xs Max also have Super Retina displays, so you can watch videos in the most true-to-life colour you can get. Whether you’re capturing a fun night out, a family get-together or the perfect selfie, you’ll get great pictures every time with iPhone’s impressive cameras. Really into photography? You’ll get your best shots yet with the dual 12MP cameras and Portrait Lighting on iPhone Xs, Xs Max and X. With features and effects like Depth Control, Portrait mode and bokeh, or background blur, you’ll get professional-looking shots every time. See how furniture would look in your home, without leaving the house. Measure objects with just your phone. Bring virtual characters to life, to feed your kids’ imagination. And immerse yourself in games with friends. Transform how you connect with the real and virtual worlds with iPhone’s augmented reality (AR), on iOS 11 or above. Whatever you’re looking for in a phone, there’s an iPhone for you. Looking for the latest technology? It’s got to be iPhone Xs or iPhone Xs Max. With the powerful A12 Bionic chip, they’ll really bring the things you love to life. Fancy something a bit brighter? iPhone XR comes in a range of colours, so you can express yourself. And if you’re not so worried about having the very latest tech, check out our iPhone X, 8 and 8 Plus deals, and our Like New refurbished devices, for a powerful phone with a smaller price tag. How much does the iPhone Xs cost? Whether you’re new to O2, or upgrading, the iPhone Xs prices differ depending on what plan you’re after. Take a look and decide on the best deal for you. There’s something for everyone, whether it’s a Pay Monthly contract or a Pay As You Go tariff. Once you join O2, you can enjoy flexibility with our custom plans, discover exclusive mobile phone offers and perks, prizes and surprises with Priority. Plus you can stay connected when you’re out and about, with our 15,000 free O2 Wifi hotspots across the UK. Still undecided on which iPhone to go for? Check out our monthly contracts and sim only deals. What’s the difference between iPhone Xs and Xs Max? Apple are known for creating beautiful phones, you can find out more on our detailed 2018 Apple iPhones features comparison. Both have the same curved rectangular design, but the Xs Max is larger with a 6.46 inch screen, compared to the Xs’s 5.65 inch screen. It also has a higher screen resolution, perfect for movie-watchers and game-players. The Xs Max is 1242 pixels, while the Xs is 1125 pixels. They both have 4GB RAM and are powered by the A12 Bionic processor, which is 15% faster and uses up to 50% less power than the A11 used in the iPhone 8, 8 Plus and X. For storage options, both handsets are available with 64GB, 256GB or 512GB. They both have wireless charging and it’s recommended to use Qi-certified base chargers. You can compare each iPhone’s features and specification using our Apple iPhone compare tool. What’s the difference between iPhone Xs and iPhone XR? The iPhone Xs features and specifications are slightly different to the XR. The iPhone XR features a single camera lens on the back, compared to the two lenses found on the Xs. The XR 6.1 inch display uses LCD ‘Liquid Retina’, offering a resolution of 326 pixels-per-inch, while the Xs and Xs Max both use 458 pixels-per-inch OLED screens. With OLED screens, you get darker blacks and brighter colours than on the LCD panel on the XR. You won’t notice much of a difference performance-wise, as both handsets use an A12 Bionic processor, which is 15% faster and uses up to 50% less power than the A11 used in the iPhone 8, 8 Plus and X. The battery life for the iPhone XR is better when compared with the other iPhone devices. The iPhone Xs features a more premium design than the iPhone XR. The display stretches ever-so-slightly closer to the borders, while the edges are made out of stainless steel as opposed to the aluminium used for the iPhone XR. Does Qi wireless charging work with the iPhone Xs? Yes. Just place the iPhone Xs on a Qi-compatible pad or dock for 7.5W wireless charging. You can also hook it up through its wired lightning connector for fast-charging. You can find Apple iPhone accessories in our online shop or your local O2 store. How do I set up my new iPhone Xs? For a step by step guide on how to set up your new iPhone Xs, you can visit our online help and support pages for the iPhone Xs. Here you can find more details on setting up your wifi, Bluetooth, SMS and email. Why get the iPhone Xs with O2? Once you order your iPhone Xs with us, we connect you with the people you love. Discover experiences that make you feel more alive and enjoy everything the world has to offer through the power of technology. You get to customise your plan, and reduce your monthly bill with O2 custom plans, where you can spread the cost up to 36 months. O2 won the 2019 uSwitch Best Network Coverage Award, which means we have more ways to connect you than ever before. We design, plan and build our network around our customers, and pride ourselves on our customer centricity. We’re all over the new generation of 5G and are busy preparing to launch 5G in London, Edinburgh, Cardiff and Belfast in 2019, and over more locations in 2020. We installed a 5G testbed at The O2 in 2018, which lets our customers experience the future of connectivity. Joining O2 gives you the opportunity to enjoy more than just the iPhone Xs’s amazing experience. Once you come on board, you’ll get perks, prizes and surprises with Priority. How do I upgrade to an iPhone Xs? How much does the iPhone Xs Max cost? Whether you’re new to O2, or upgrading, the iPhone Xs Max prices differ depending on what plan you’re after. Take a look and decide on the best deal for you. There’s something for everyone, whether it’s a Pay Monthly contract or a Pay As You Go tariff. What’s the difference between iPhone Xs Max and Xs? Apple are known for creating beautiful phones, you can find out more on our detailed 2018 Apple iPhones features comparison. Both have the same curved rectangular design, but the Xs Max is larger with a 6.46 inch screen, compared to the Xs’s 5.65 inch screen. It also has a higher screen resolution perfect for movie-watchers and game-players. 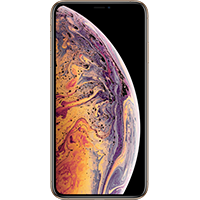 The Xs Max is 1242 pixels, while the XS is 1125 pixels. They both have 4GB RAM and are powered by the A12 Bionic processor, which is 15% faster and uses up to 50% less power than the A11 used in the iPhone 8, 8 Plus and X. For storage options, both handsets are available with 64GB, 256GB or 512GB. They both have wireless charging and it’s recommended to use Qi-certified base chargers. What’s the difference between iPhone Xs Max and iPhone XR? 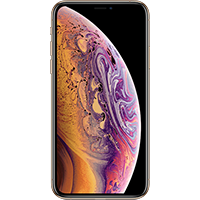 The iPhone Xs Max features and specifications are slightly different compared with the XR. The iPhone XR features a single camera lens on the back, compared with the dual-lens systems the Xs Max and Xs has. The XR 6.1inch display uses LCD ‘Liquid Retina’ offering a resolution of 326 pixels-per-inch, while the Xs and Xs Max both use 458 pixels-per-inch OLED screens. With OLED screens, you get darker blacks and brighter colours than on the LCD panel on the XR. You won’t notice much of a difference performance-wise as both handsets use the next-gen A12 bionic chip processer, which is 15% faster and uses up to 50% less power than the A11 used in the iPhone 8, 8 Plus and X. The iPhone Xs Max has an IP68 rating, which means it can be submerged for up to 30 minutes at a depth of up to 2 metres, which is double the depth that the iPhone X can endure. While the iPhone XR has a rating of IP67 which means it can be submerged for up to 30 minutes at a depth of 1 meter. Does Qi wireless charging work with the iPhone Xs Max? Yes. Just place the iPhone Xs Max on a Qi-compatible pad or dock for 7.5W wireless charging. You can also hook it up through its wired lightning connector for fast-charging. You can find Apple iPhone accessories in our online shop or your local O2 store. How do I set up my new iPhone Xs Max? For a step by step guide on how to set up your new iPhone XS Max, you can visit our online help and support pages for the iPhone Xs Max. Here you can find more details on setting up your wifi, Bluetooth, SMS and email. Why get the iPhone XS Max with O2? Once you order your iPhone XS Max with us, we connect you with the people you love. Discover experiences that make you feel more alive and enjoy everything the world has to offer through the power of technology. Joining O2 gives you the opportunity to enjoy more than just the iPhone Xs Max’s amazing experience. Once you come on board, you’ll get perks, prizes and surprises with Priority. How do I upgrade to an iPhone Xs Max? 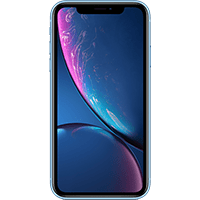 Whether you’re new to O2, or upgrading, the iPhone XR prices differ depending on what plan you’re after. Take a look and decide on the best deal for you. There’s something for everyone, whether it’s a Pay Monthly contract or a Pay As You Go tariff. What’s the difference between iPhone XR and the Xs Max? The iPhone XR features a single camera lens on the back, compared with the dual-lens systems the Xs Max and Xs has. The XR 6.1inch display uses LCD ‘Liquid Retina’ offering a resolution of 326 pixels-per-inch, while the Xs and Xs Max both use 458 pixels-per-inch OLED screens. With OLED screens, you get darker blacks and brighter colours than on the LCD panel on the XR. You won’t notice much of a difference performance-wise as both handsets use the next-gen A12 bionic chip processer, which is 15% faster and uses up to 50% less power than the A11 used in the iPhone 8, 8 Plus and X. Does Qi wireless charging work with the iPhone XR? Yes. Just place the iPhone XR on a Qi-compatible pad or dock for 7.5W wireless charging. You can also hook it up through its wired lightning connector for fast-charging. You can find Apple iPhone accessories in our online shop or your local O2 store. How do I set up my new iPhone XR? For a step by step guide on how to set up your new iPhone XR, you can visit our online help and support pages for the iPhone XR. Here you can find more details on setting up your wifi, Bluetooth, SMS and email. Why get the iPhone XR with O2? Once you order your iPhone XR with us, we connect you with the people you love. Discover experiences that make you feel more alive and enjoy everything the world has to offer through the power of technology. Joining O2 gives you the opportunity to enjoy more than just the iPhone XR’S amazing experience. Once you come on board, you’ll get perks, prizes and surprises with Priority. How do I upgrade to an iPhone XR? Compare the design and features of the latest models. Want to reduce your monthly bill? Spread the cost up to 36 months. With our custom plans, you’re in control. We’ve paid out £200 million for old devices. Trade in yours for cash, today. Why get an iPhone with O2? Next working day, when your order by midnight. Free help and advice, online or in store. Take a look at our full range of devices.